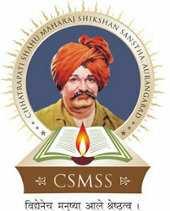 The Chhatrapati Shahu Maharaj Shikshan Sanstha (C.S.M.S.S.) Established in 1986 and was named after a renowned king and social worker of the State - CHHATRAPATI SHAHU MAHARAJ. The Young Enthusiastic & Dynamic Engineer Mr. Ranjeet Padmakar Mulay is the resident of the Trust. The renowned social worker and industrialist of the region, Mr.Padmakar Haribhau Mulay is the Secretary of the Trust and Shri. Vitthal Pandurang Lahane is the Treasurer of the trust. The College is located within Muncipal Corporation area of Aurangabad is an open pollution free, secure, safe and peaceful locality. It is located in the educational environment having various colleges such as Dental, Ayurved, Agriculture, Horiculture, etx. and is just 3 kms from Aurangabad Railway Station and 6 kms from Central Bus Stand. Aurangabad is a historical and a rich cultural center located 375 kms. east of Mumbai and is very well connected by road, rail and air. The world heritage sites of Ajanta and Ellora Caves are located around Aurangabad. The mission of this organization is to provide impetus to the activity of knowledge acquisition and education of students in Engineering and Technical Know how, associated with the field f stern academic study and thrill of innovation. It desires to develop in each student, not only the ability to work wisely, creatively and effectively for the betterment of humankind but also the passion for doing so. Promotion & Canvasing of Quality Education. To Establish & develop insititutes pertaining to professionals. To Provide Education and Training. To Make an united and dynamic society. To achieve good interaction between industries and institute. To strive to be techno savvy organization.